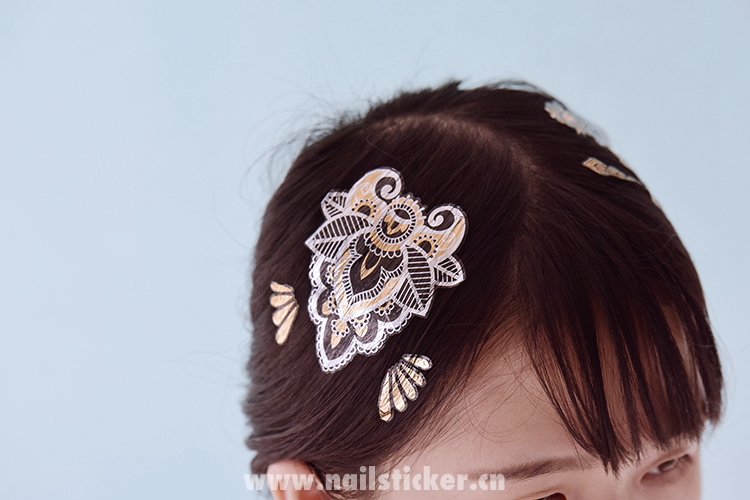 You can use one for shimmery holiday hair and the other for New Year’s when you want to get drunk and not worry about your headband falling off/looking cray in pics. 1. 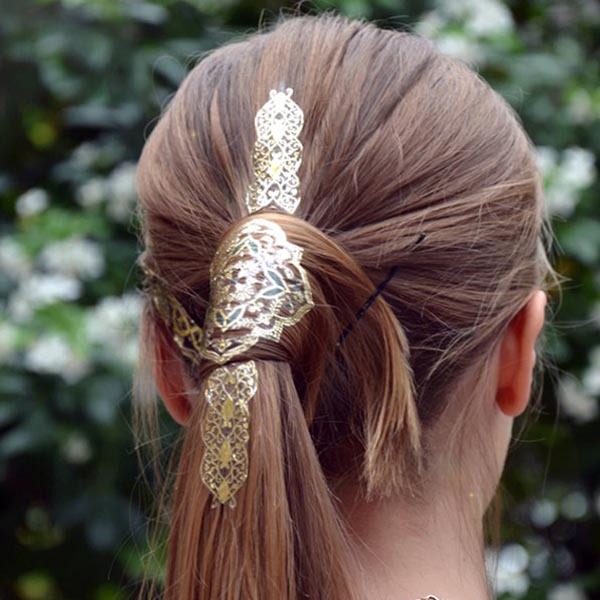 You can use metallic hair and body tattoo to embellish a braid. 2. 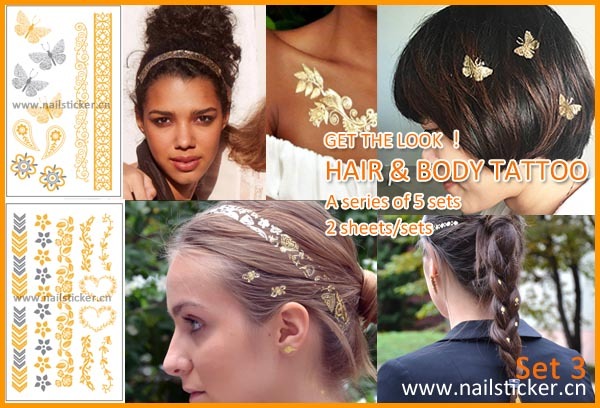 You can place them on either side of your head to dress up a part. 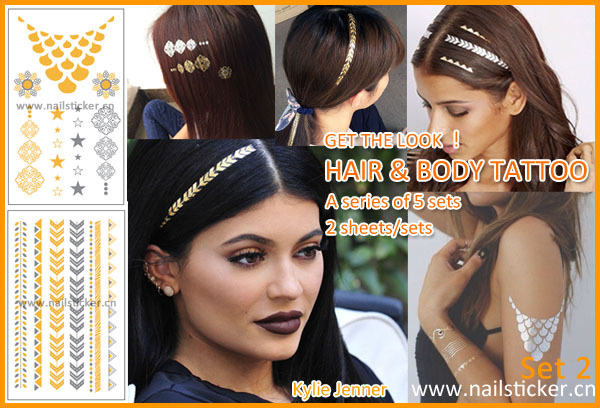 Or apply a few of the same pattern for a continuous shimmery headband look. 3. 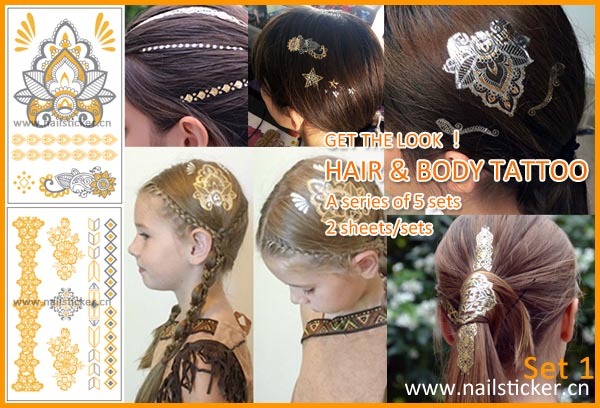 You can apply them on body skin, which makes you look different from other and decorate yourself. 1. 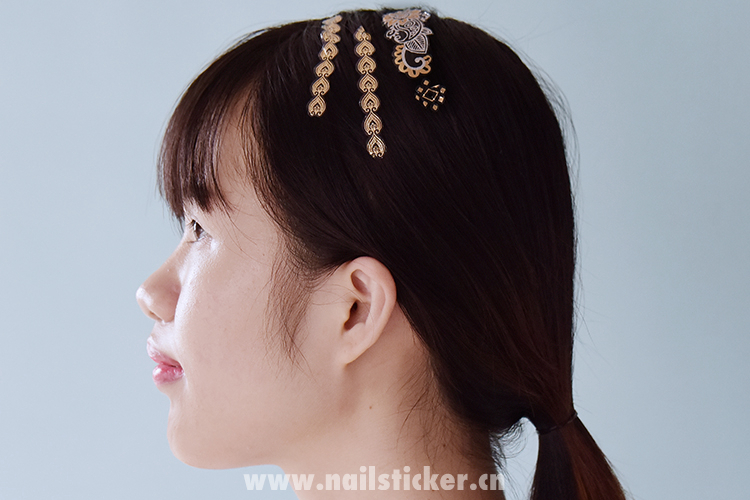 Hair tattoo can be applied for hair and body. The milder glue is adopted. 2. The hair tattoo last up 7 days, unless you wash hair. It can last up 7-10 on skin. 3. There are 5-7 design elements on one sheet. 6. Our products meet the standard of EN71/FDA/TRA/CPSIA,/CA#65 (including 16P, 19 heavy metals and PAHs) and are certificatedby GMPC, ISO9001:2008 and pass MSDS and SGS test report. 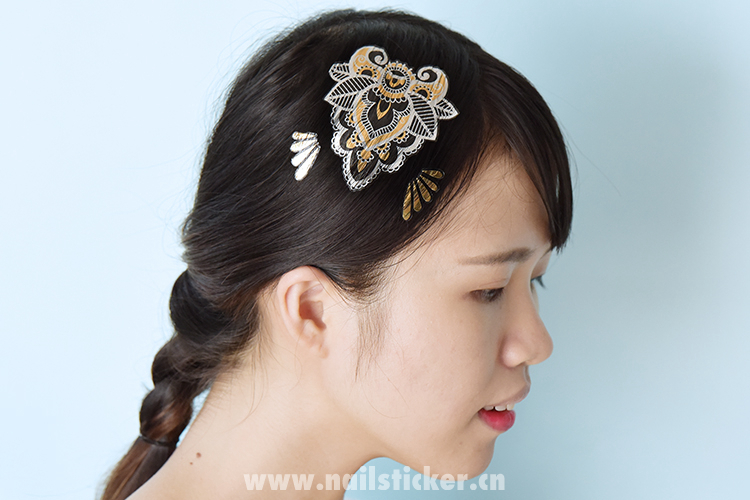 We have fashion hair tattoo sticker in stock as following. If you are interested in them, please contact us. 2. 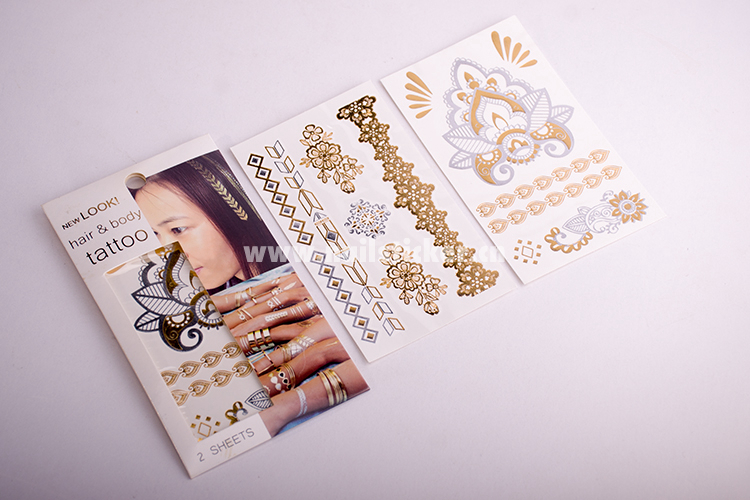 2 sheets in 2 fixed designs into one paper card sleeve. The package can be with your logo. 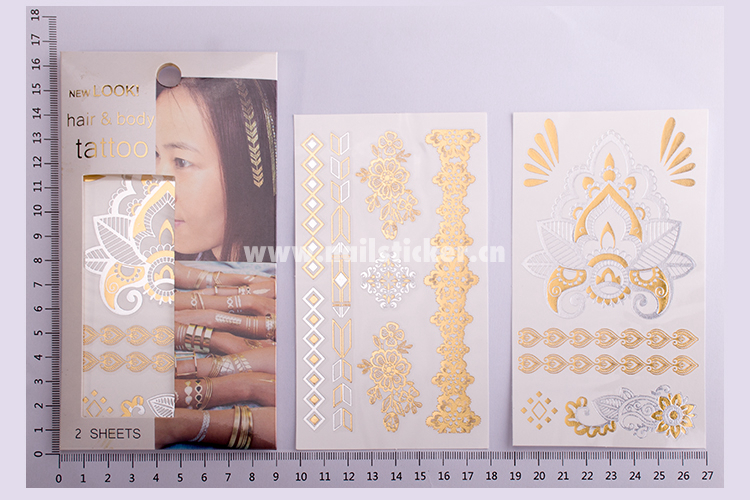 We provide standard paper card sleeve without logo as well. 1. Cut out your design. 2. Remove clear protective film from tattoo sheet. 3. 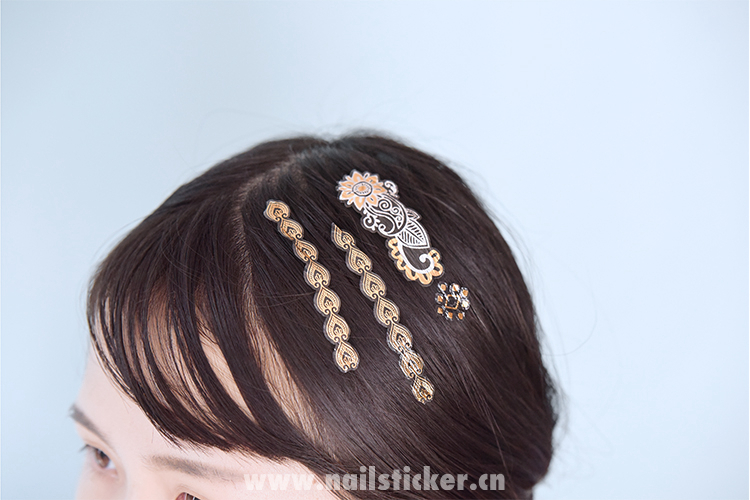 To apply them, hold the tattoo design-side-down against your hair. 4. Dab the tat with a wet cotton ball. 5. And then peel off the paper. To remove: Remove the tattoo sticker with alcohol or oil. 2 pieces into a PP bag with a paper card header. Package can be customized. 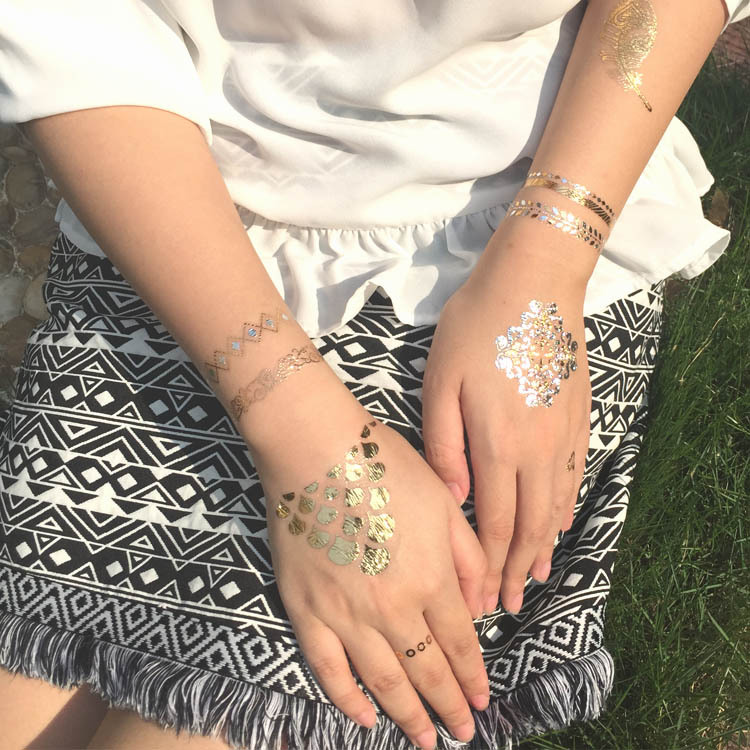 If this fashion gold and silver temporary hair tattoos hair tattoo sticker factory is not satisfactory, you might be interested in other hair tattoo in our website.